A month ago I got the opportunity to spend a long weekend with 18 other amazing Oiselle women. I was able to share my story with them and I hope I was able to make a difference in their running journey. They may not know it but I learned more from them through this experience than I think I taught them. The reflection on my own story and the mistakes I have made really resonated with me as I was planning my talk and I realized one important thing that I hope every runner will hold in their heart especially when things get tough. That one thing is that we as runners are all the same. No matter what our pace, no matter what our body type is and no mater how old we are, we each struggle, we all get down on ourselves, and we all feel inadequate at times. Elite athletes have bad days. Every run is not sunshine and rainbows and if anyone tells you that they feel amazing every race and workout they are liking lying. Things don’t always go as planned and we deal with it. So no matter what you are feeling trust me it is normal. One bad day will not be the end it just means tomorrow will be better. The one thing I heard from a lot of these women was that they worried they weren’t fast enough and were scared to come to camp and be the slowest but I can tell you from experience that putting yourself in a situation that feels uncomfortable will only make you stronger. In running you have to willing to be uncomfortable and that works in 2 ways. You have to be willing to push yourself in a race to a place that feels uncomfortable if you want to reach your full potential. You also shouldn’t be scared to come in last which is uncomfortable but that is how you get better. 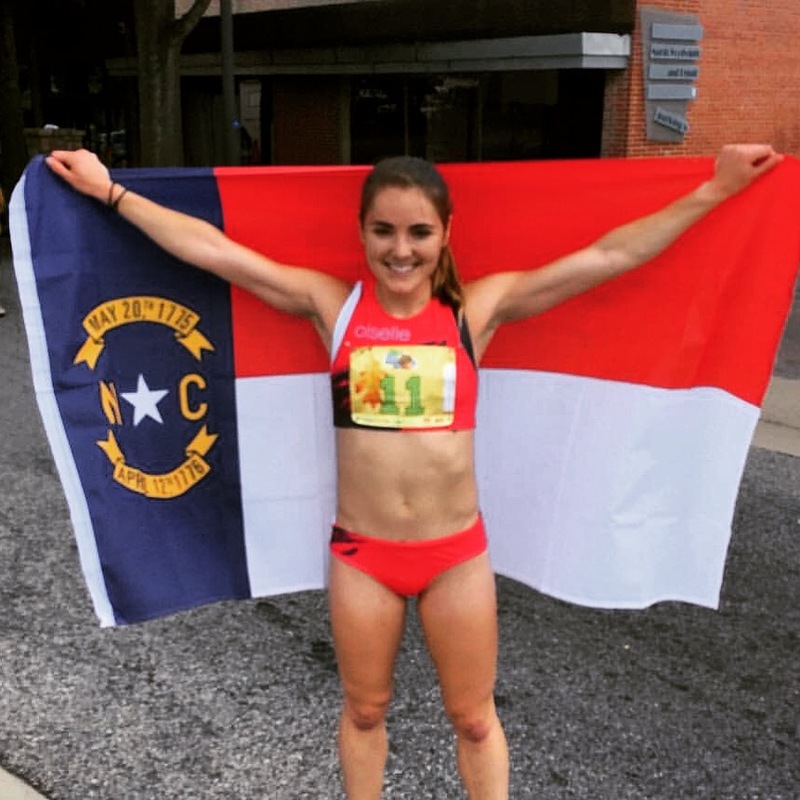 I went to NC State because I wanted to be surrounded by people who were better than me and now here I am today thinking about the marathon Olympic trials. Its nice for confidence to run some races and place well but sometimes its good to go to a big race and just put yourself out there. I raced at Freihofer’s 5k for Women this year which I can say was both terrifying and humbling. I fell off the elite pack immediately but ran my fastest road mile. If running were easy everyday there would be no challenge and where is the fun in that?! I don’t run simply to win races, I run to get better because that is what really matters. This entry was posted in Life, Oiselle Team, Running Story and tagged haute_volee, oiselleteamnc, oiselle_team, races, southern bird camp. Last year around this time I was recovering from a disappointing race at the Mt. Sac Relays. After a rough end to my final collegiate season and now a poor first season post-collegiate I was borderline ready to give up. I didn’t have any sponsors and I felt a little helpless. My confidence was low and I didn’t think deserved anything but for some reason Oiselle still decided to give me a chance. They extended me a spot on the Volee Team and I accepted. I didn’t know what would happen from there but I was excited to start over new. What I also didn’t know was what being a part of Oiselle really meant. I quickly found out was that Oiselle is a team of strong women of all ages and abilities all working together to lift each other up. 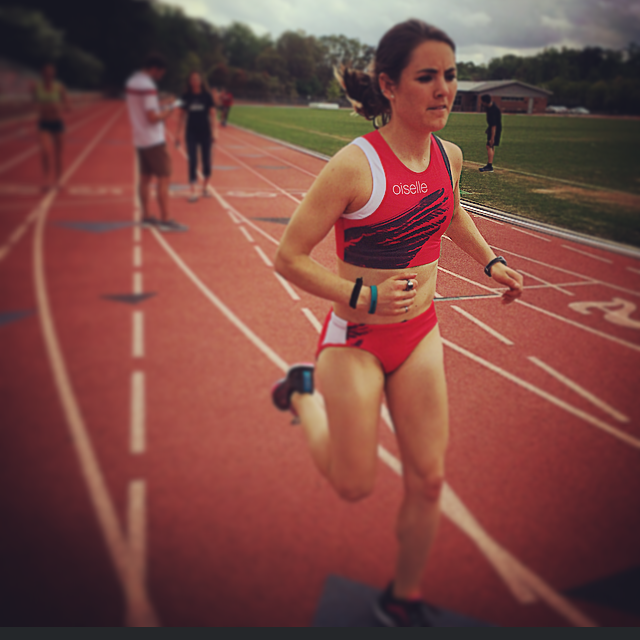 My wonderful Oiselle NC team graciously accepted me into their group and gave me the support I needed. 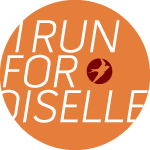 By the time the Indianapolis Monumental half-marathon rolled around I was feeling great and back to myself, something I couldn’t have done without the opportunity Oiselle gave me. Now a year after I wanted to give up, I am honored and proud to be joining Oiselle’s Elite Haute Volee Team. Running professionally is a dream I’ve worked for and I am excited to take that step up. It’s going to take a lot more work but I’m ready to take on the challenges this new opportunity will present me with. Thank you to all of my family, friends, NC State teammates and coaches, and Oiselle teammates and supporters, I wouldn’t be here without you! 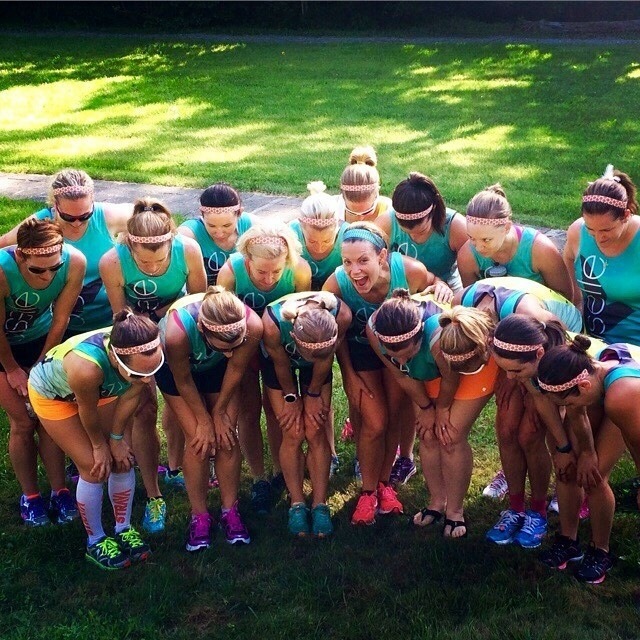 This entry was posted in Life, Oiselle Team and tagged haute_volee, oiselle, oiselleteamnc. There may be some other races in there but so far this is the plan! Here’s to 2015! 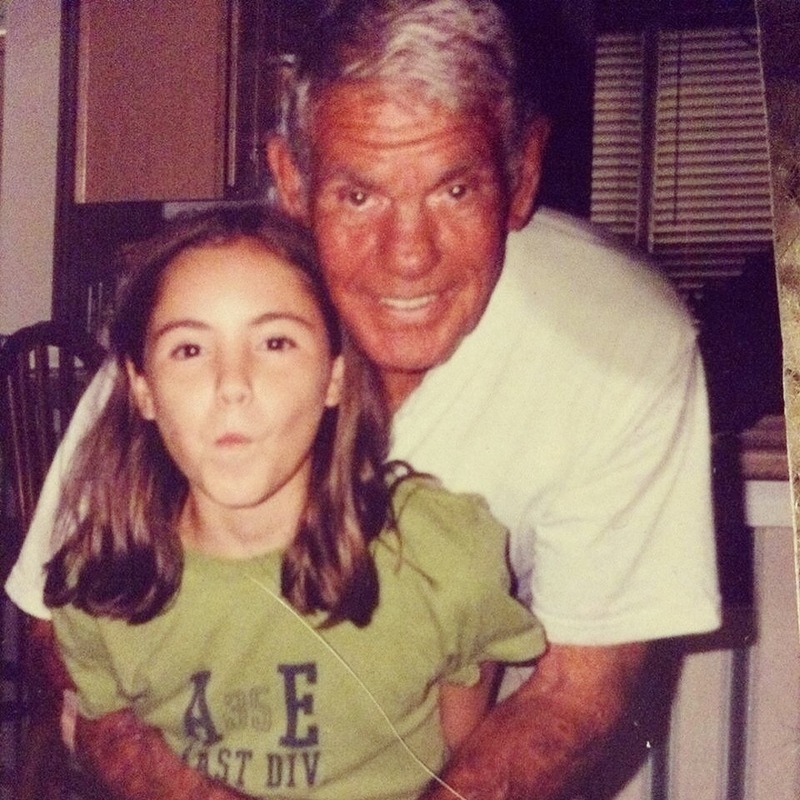 This entry was posted in Oiselle Team and tagged oiselle_team, post-collegiate, races, volee.